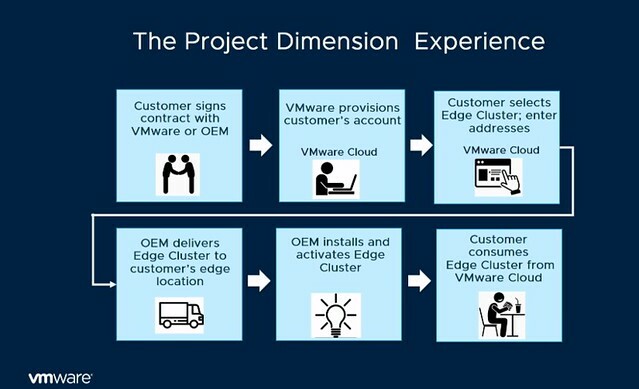 Not sure I understand your question, but to me, the benefit is the fact that you could have hundreds of locations, all being managed for you by VMware, no worries about the infra, VMware does this for you at scale, while you focus on the workloads. It isn’t even about a technology benefit, it is about business outcome, agility, consistency and reliability. How would backup services integrate with this solution Duncan? 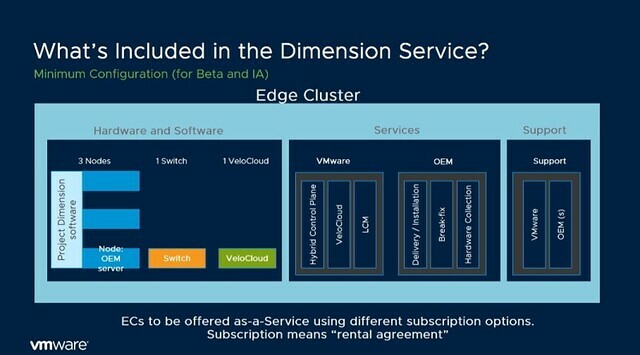 Would it be only vSphere replication back to the cloud or can this be integrated with localized backup services that replicate offsite – cloud or back to core data centers? I am not sure that has been looked at yet, I am assuming for now they are taking the crawl/walk/run approach and will want to tackle these problems one at a time. One question that jumps out at me is what happens after 3yrs.. if you renew the subscription will you get new hardware? Like a hardware refresh, or do you continue on the old kit? If a customer is buying a managed service then they obviously don’t have to care about the underlying hardware.. However, I’m pretty sure there’s also an expectation for customers to have the latest kit running their workloads every couple of years..
What happens with scaling the solution? If a customer has a period of high peak activity then do they burst out of VMC on AWS or does vmware ship out an extra node? 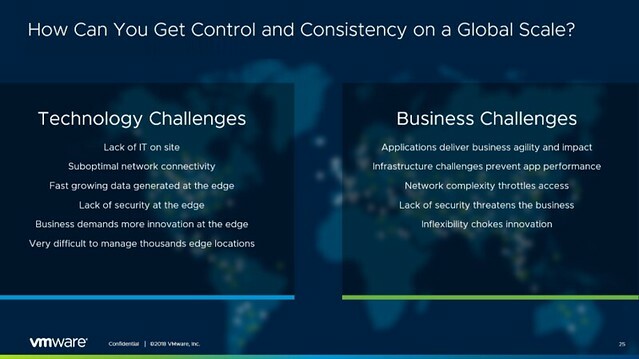 During the VMworld session someone asked a question around scaling as well, of course when an edge location runs out of resources we can’t assume bursting out to the cloud makes sense or is the best thing to do. Especially as these edge locations are at the “edge” for a reason, and not centralized in the first place. Also, automatically shipping a node may not make sense. I think one would only do this when demand is consistently high, this should be triggered by the customers, as they pay for it. In terms of what happens after 3 years, that is a very good question, to which I don’t have an answer right now. Let me ask internally if I can give (and get) an answer on that?! You are referring to AWS Outposts, which has a couple of options, one of which is the AWS native and the other being the VMware Variant where we bring the VMware Cloud offering like VMConAWS to on-prem. It sounds very similar to Dimension, and it actually is. The difference being that with AWS Outposts you will be using the AWS hardware, with Dimension you will of course have choice. Starting with Dell and Lenovo for the first release and later more, who knows. But conceptually speaking it is similar. Delivering a Software Defined Data Center as a Service on-premises. Fully managed by AWS, AWS and VMware, or VMware and/or Dell / Lenovo.